Want to drive efficiency, increase productivity and improve profits through your business applications?Then talk to us. We provide Sales Management, Customer Service, Marketing Automation Solutions. 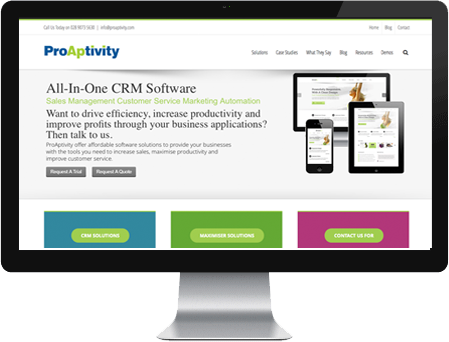 Local businesses are driving efficiency, increasing productivity and increasing profits with effective CRM solutions! Contact us to find out how you can too! CRM allows you to automate dynamic, personalised email campaigns, send marketing collateral and keep your stakeholders close, allowing you to take them up the customer loyalty ladder. Like to find out how CRM can help boost sales? Get in touch. Call 028 9099 6388 or click the contact button and let us know how we can help. Sales Force Automation with CRM helps sales teams meet and exceed revenue targets and build profitable relationships for long-term success. CRM allows you to automate dynamic, personalised email campaigns, send marketing collateral and keep your stakeholders close. Automate and trigger email campaigns – see who has opened your emails and clicked through to built in links to effectively target customers and prospects with the right resource.